Vegan products contain no animal ingredients and are not tested on animals. Even further, some vegans don't consider palm oil production to be vegan; as many plantations are causing forested land to be clear-cut; displacing and harming wildlife. "Cruelty-free" is the term used for products that are not tested on animals, but it does not always mean there are no animal-sourced ingredients. More and more companies are making it easy by labeling the product with vegan symbols and certification. I never had this luxury when I first went vegan 3 decades ago! The post concludes with some simple free recipes shared by vegan friends. The V* symbol (in this guide) denotes a company where ALL their products are vegan (either because owner is vegan or because products happen to be suitable for vegans.) Generally, the links included will take you directly to the company statement on vegan products. V* - Sanctum - Based in Australia, ships worldwide. Organic, wide range. V* - Nature Clean - Where to buy - Personal Care Products & household. V* - Derm Organics - U.S.-based, shipping to Europe, Australia, Canada, etc. V* - Bulldog Skincare for Men - U.S. U.K. Australia, Germany, Spain, etc. 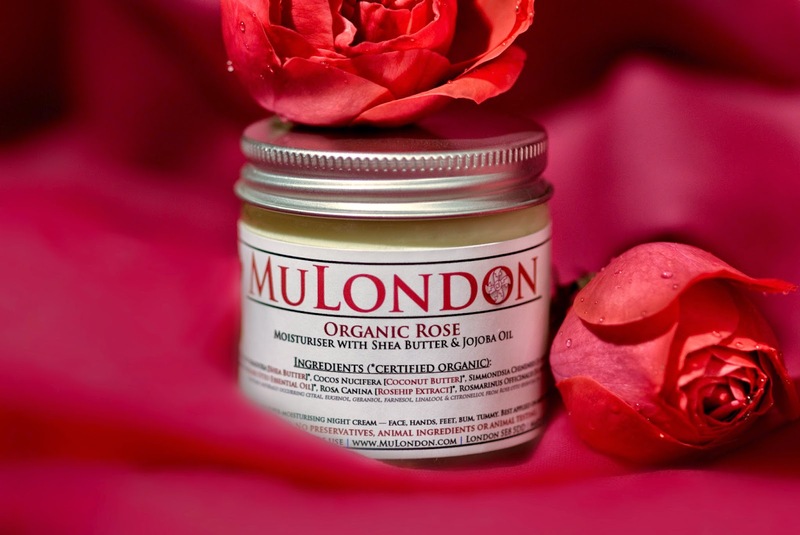 V* - MuLondon - UK-based organic 100% vegan skincare. Worldwide shipping. V* - Mii Maa - Based in Melbourne, Australia, internationally sold. V* - Shikai - Major brand found nationally in natural food stores, etc. V* - OM Botanical - Skincare, men, baby, soap, aftershave, etc. V* - Nature's Gate - major brand sold nationwide. Body, hair, deodorant, etc. V* - Nature Clean - Personal Care Products (and cleaning products). Canadian. V* - Herbs of Grace mineral make-up, lip balms, etc. V* - Ellovi - based in California, U.S. They ship worldwide. V* - The All Natural Face - Cosmetics, Bath and Body - international shipping. V* - Fanciful Fox - Lips, skin, men, body care, tattoo cream, etc. V* - Gourmet Body Treats - baby, bath and body, hair, makeup, skin care, etc. V* - Tara Smith Vegan Hair Care - tested on celebrities, not animals. Delizioso Skincare - Canadian-based; a few formulations contain bee products. S.W. Basics - All products are vegan except the organic beeswax lip balm. Yum Skin Care for men and women - Canada-based organic and natural, no animal testing and many products are vegan-friendly. 100% Pure - vegan except a few bee products. U.S. and EU headquarters. Dr. Bronner's Liquid Castile soaps - easily found, very economical, and good! Alaffia - Fair Trade, Gender Equality, Sustainable Online Shopping; Products are marked vegan-friendly or not vegan friendly. Not all vegan; some contain goat's milk, honey or beeswax. Alaffia's Beautiful Curl product line is all vegan. 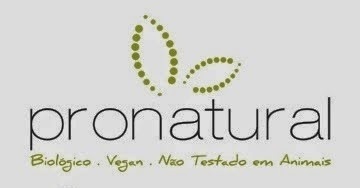 Giovanni shampoo and conditioners - From their site: "All our products are vegan except our Lip Balms which contain beeswax and our Magnetic shampoo, conditioner, power treatment, styling gel and styling wax which contains lactoferrin." Giovanni is a California based company with products sold internationally and through major retail department and grocery stores. Ecco Bella - Most products are vegan with the exception of a few that use carmine from beetles for coloring, mostly in lipsticks. United States; easily found in natural food stores nationwide. They have distributors in Denmark, Taiwan, etc. Desert Essence - found in natural food stores nationwide. Bath and body, hair and skin care, dental, and baby. 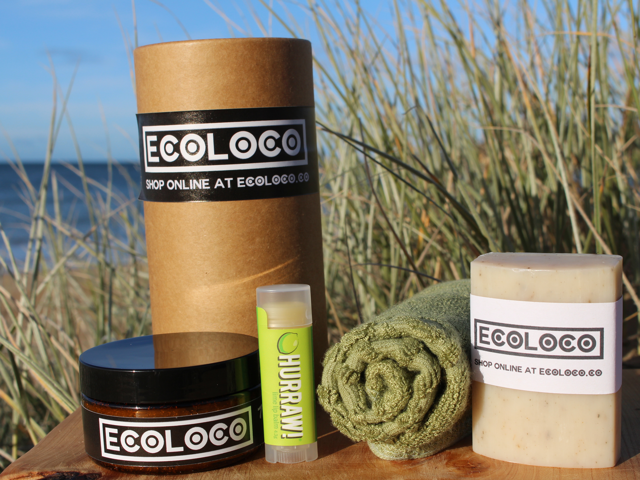 Their organic line, excluding Mineral Sunscreen which contains beeswax, is 100% vegan. Alba - are a nationwide brand easily found in natural food stores, etc. 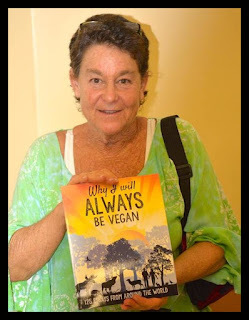 Not vegan - but products contain no meat or by-products of animal killing, or cruelly obtained animal ingredients, even if an animal is not killed. They do use beeswax in some products. No products are tested on animals. Aubrey Organics - offer a wide range of vegan body care products and the ones that are vegan are labeled vegan. They are sold retail nationwide in natural food stores and beyond. Follow this link for an explanation of their nonvegan products. Although they offer many vegan products, they do offer nonvegan products sourced from the exploitation of animals. Aveda - A wide assortment of body and hair care for women and men. Not certified vegan, but most products are vegan with the exception of some that contain beeswax and honey. LUSH - The international company has a strong no-animal testing policy, but only 80% of their products are vegan. There is definitely an inconsistency here, however they are a major brand with many vegan hair and body products. Urban Decay Cosmetics - U.S., sold internationally (parent co. not vegan) - They have a vegan logo on their homepage which is very misleading, because not all products are vegan. 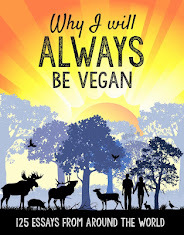 This link takes you to their vegan line of products and they use a paw to distinguish the products that are vegan. V* - Boutique-Vegan (English, German, French) Body Care, Cosmetics, etc. Sarakan Toothpaste - it says here all dental products are suitable for vegans. V* - Cherry Cosmetics - body and hair care, lotions, soaps, cleaning, etc. V* - Sanctum - Organic, baby care, body care, hair care, men, ships worldwide. V* - iRaw - Fresh raw skincare - tooth powders, skin creams, lotions, hair, etc. V* - Cherry Brown - Makeup. No beeswax or palm oil. Vegan-owned. Livinia Naturals - organic, vegan-friendly except for one animal hair brush, but it's certified that no animal was destroyed or hurt in process. Larissa Bright - Skin Care line is 100% vegan. Make-up is vegan. 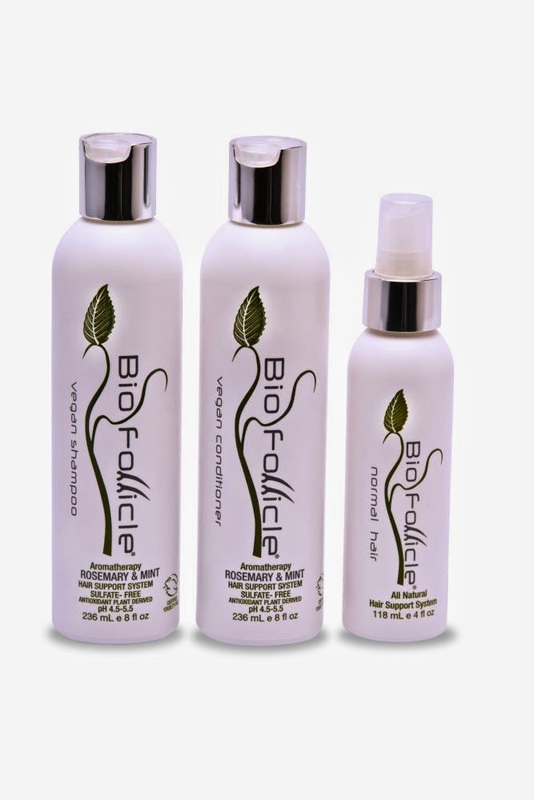 Vegan products are marked with vegan symbol throughout the online catalog. Purestuf - Organic, mostly vegan; a few contain bee products, no animal testing. Gaia Skin Naturals Australia - all vegan except one product containing beeswax. Australian-made but sold internationally - body care, baby, men, etc. V* - Sorbet Sensational Solids - hair, bath and body, baby and child, etc. Eco Store offers many vegan products, but some have honey, goats milk, etc. On their site, the products that are vegan are labeled vegan. INTERNATIONAL MAJOR BRANDS - MOST PRODUCTS VEGAN. Dr. Bronner's Magic Soaps - widely available internationally, economical, and a product. They are not a vegan company as many think, because they support their own beekeeping to use in their lip balm, etc. The soap bars use palm oil that appears to be ethically sourced. Jäsön Natural Products are sold in U.S.,U.K., Canada, and Japan. National sales within those countries. Weleda - NOT all vegan, link to products > suitable for vegans. Shop Vegan cosmetics - ShopVegan - U.K.
Veganz - 100% vegan grocery store chain, Germany / Europe - some body care. 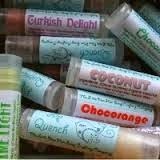 Little Blue Hen lip quench - U.K.
Merry Hempsters - V* - organic - lip balms/salves. Green Love Lip Balm - V* - made in Sweden - U.K.
V* - Jackson Reece Natural baby care products - made in U.K.
Weleda baby bath bodywash - U.K.
V* - Tara Smith Hair Care - U.S. and U.K. Evolve Hair Care - U.K.
Alaffia Coconut and Shea Daily Hydrating Shampoo - and other hair products. V* - Mama Nature - wide range skin care, baby care, anti-wrinkle, eczema, etc. Aubrey Organnics skin care products - Not All Products are vegan, but most are and they are "marked vegan" to make it easy for customers. Firming Boost for Skin by Seventh Generation; an international brand. They don't test on animals and have many vegan products. Amie Face Care - U.K.
V* - Green Love Fair Trade Deodorants - made in Sweden, U.K.
Tom's of Maine - No animal testing, no animal ingredients. However, a few products contain propolis or bee products; so not all vegan. Jack and Jill Toothpaste - organic kids cruelty-free Australia, U.K., and U.S. I make my own from coconut oil, baking soda, organic lemon oil and peppermint oil (doubles as my toothpaste). I'm making my own deodorant and it's working well--it's a spray. 2 oz witch hazel, 10-20 drops lavender oil, 10-20 drops ylang ylang oil, and 10 drops cedarwood. Just mix and shake before use. I put it in a glass bottle with a squirter thing on it I picked up at the natural food store. I've stopped using shampoo. I just use baking soda and apple cider vinegar. For deodorant, I use coconut oil with baking soda mixed in. I mix in a small container and keep in the fridge. It pops out and I just rub under my arms. Just three things! Baking soda, Bragg's apple cider vinegar and organic coconut oil. The first two I use to wash my hair. The baking soda for teeth, the coconut oil for body, lip, face and hair moisturizer and oil pulling (oral).The baking soda and coconut oil blended together are my deodorant. For kids toothpaste, I use coconut oil, a tiny bit of oregano oil and lots of tangerine and lemon oil. Adult toothpaste is baking soda and lemon and oregano oil blend. Tea tree oil as a deodorant, others can be added if you want more fragrance. Baking soda's an amazing deodorant, a little blob, wetted, squidged under the arms, rinsed, smell all gone. Many just use pure coconut oil or shea butter for their skin moisturizer. Butterflies, your tireless work to help fellow vegans is very much appreciated! A thousand times, THANK YOU!! Please recommend a true vegan antiperspirant. I have used Certain Dri and Toms of Maine. I'm not absolutely sure Certain Dri contains no animal ingredients although the package stated not tested on animals. Toms is supposedly vegan but does contain palm oil. I am gradually convinced a vegan antiperspirant doesn't exist. I hate wet underarms even if they smell good. Thoughts or advice? Ortudes, check out www.thecrystal.com And while I understand your concern regarding palm oil, a product that contains palm oil is vegan. DermaDoctor makes an excellent true anti-perspirant. It, like all their products, is crualty-free. It has stuff in it that I wouldn't drink though, that is, I guess, the compromise for an antiperspirant rather than a deoderant. I like being dry. Such a nice blog you have shared here and thanks for guiding us on body care. Keep sharing more blogs with us. thanks for this comprehensive list of vegan companies! very helpful! Could you please include it in your list and let me know if you have any questions! Nice and a very informative blog.